When students ask me what I teach I typically tell them bodywork or Thai massage. If they ask more questions I say that I teach yoga, yoga therapy and help people with back pain. I do whatever I can within my power to heal and help others do the same. As a human, I’m a flawed, errant and odd individual but therein lay my divinity, I embrace that duality. Thai massage and yoga aren’t different things to me. They’re just two sides of the same coin. The person I am, always is. What do I teach? All that I know. Come learn. 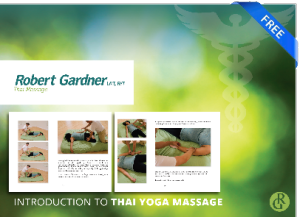 We only have 3 openings left in the Thai massage class this coming weekend. Click here to register.